When Chinese official Lin Duo became deputy chief and acting governor of Gansu Province in April 2016, analysts predicted the local officialdom would soon be shaken up. Lin Duo, 61, is a confidante and former subordinate of China’s anti-corruption chief Wang Qishan. Lin served under Wang as a district committee secretary and deputy secretary, and has been called the “bane” of corrupt officials as his presence has been associated with the impending downfall of the latter. 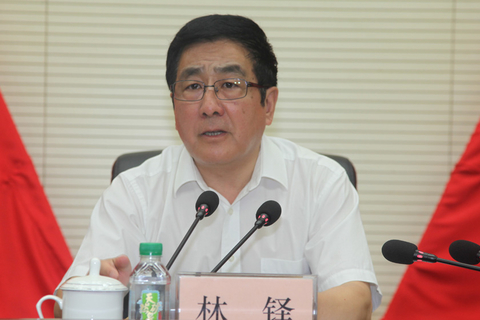 Most recently, after Lin became deputy secretary of Gansu, dozens of officials in the region were sacked, including the former provincial Party chief Wang Sanyun, who was demoted in April and put under investigation for “severely violating Party discipline” on July 11. Lin was tapped to take over his spot as the head of the province. Within ten days of his promotion to acting governor, Lin had already convened two meetings on dealing with corruption in the region. On June 19, it was announced that a deputy mayor, Li Jiayan, was being disciplined by the provincial disciplinary commission. Since the launch of the anti-corruption campaign in 2013, Gansu Province has seen about 75 provincial-level officials and 900 lower-level officials investigated for corruption. Many officials in regions Lin Duo once held office have been purged in Chinese leader Xi Jinping’s anti-corruption campaign. In Beijing and Liaoning Province, where Lin held office prior to his transfer to Gansu in 2016, several of Lin’s former superiors and Communist Party coworkers have been investigated. Many of them, including the former head of Gansu Wang Sanyun, are part of a powerful faction opposing the policies of Xi Jinping. Members of this informal network, tied with former Party chief Jiang Zemin, have been the main target of Xi’s campaign against malfeasance. Lin Duo spent the majority of his official career in Beijing, where he built rapport with China’s anti-corruption chief Wang Qishan. After Wang left the Beijing municipal government to become the head of the Communist Party’s Central Commission for Discipline Inspection, which carries out the anti-corruption campaign, Lin was promoted to head the provincial disciplinary committee of Liaoning Province. At least four high-level officials in the region have since been purged for corruption, including Wang Min, the provincial Party committee secretary. In both Liaoning and Beijing, Lin’s former superiors has been arrested for corruption. In November 2015, Beijing deputy chief Lü Xiwen was put under investigation. Lin Duo had served under Lü when Lü was a district chief in Beijing. In December 2015, Ge Ruyin, who formerly served as deputy chief of Harbin City when Lin was mayor, was also put under investigation.